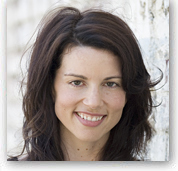 Gina Bianchini is the co-founder and CEO of Ning (www.ning.com), a platform for creating your own social network for anything. Prior to Ning, she was co-founder and president of Harmonic Communications which was acquired by Dentsu. She has also held positions at CKS Group and Goldman Sachs & Co. She has a B.A. from Stanford University and an M.B.A from Stanford Business School.